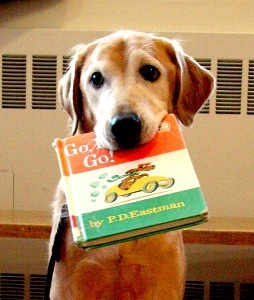 Read to Rover Hilton Branch ● Tuesday, April 17 @ 6:00 – 7:00 pm All ages ● Drop in Come read to a dog! Local therapy dogs make great listeners. Sit down with one and read him or her the book of your choice.